Come Saturday 19th May, 2018, at Le Pavillon Dauphine, St. Clair, Paris will experience the depth and richness of the Nigerian culture as the Nigerian Creative Arts Exchange will spotlight Nigeria’s best in fashion, arts, cuisine, music and more. Hosted by the Nigerian Embassy in France, this is a first-of-its-kind exhibition that will create a platform for promoting cultural exchange and diplomacy and enhance social and economic collaboration between Nigeria and the world. 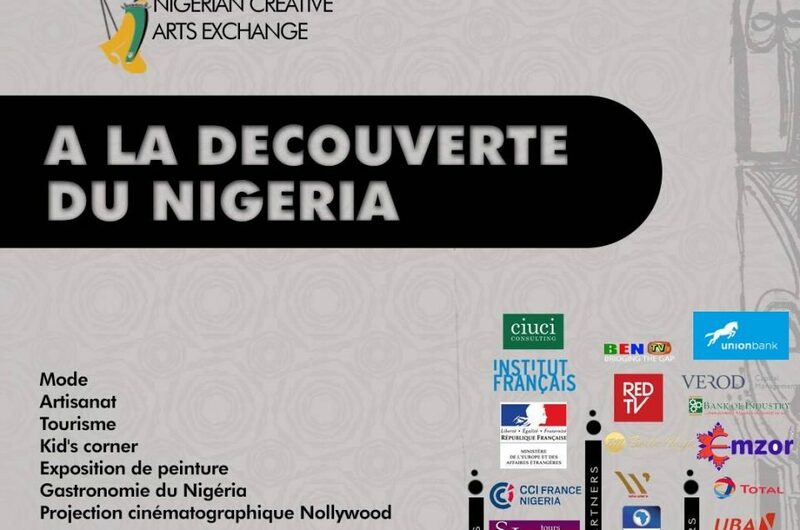 The Nigerian Creative Arts Exchange also aims to develop channels for commerce between Nigeria and France. At a press conference held at the Wheatbaker Hotel, Ikoyi, Lagos, the Nigerian Ambassador to France, Dr. Modupe Irele represented by Mrs. Taiwo Taiwo of Aart of Life Foundation said, “Through the Nigerian Creative Arts Exchange we are thus creating a forum where participants can make enquiries, network and build useful links, in a relaxed setting. We invited participants to both experience the elements of Nigerian culture that will be on display, and to use the occasion to initiate conversations with representatives from the different industries which will range from fashion to pharmaceuticals, agriculture to real estate, finance to tourism, amongst others. These together represent a wide array of trade opportunities”. The lineup for the exhibition includes the biggest names in Nigeria’s creative industry such as Ituen Bassey Andrea Iyamah, Lanre Da Silva, Chef Fregz, Kemi Lala Akindoju, Adekunle Gold. Acclaimed visual arts curator including – Bisi Silva, Nike Ogundaye of Nike Art Gallery and Oxygen Koncepts will also feature. Entrance to the exhibition is free and it is proudly supported by Nigeria’s Bank of Industry, Emzor Pharmaceutical, UBA, Total, Lagos State Government, CIUC Consulting, Institut Francais, NEPC, CCI France Nigeria, SJ Tours, Aart of Life Foundation, French Ministry of Foreign Affairs amongst others.